During the early morning hours on April 5th, two suspects were seen, by an alert resident, possibly burglarizing cars in a rear car port in the 800 block Fairview Avenue. 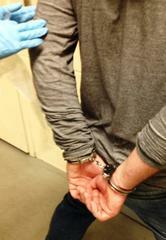 When officers arrived at the scene, both suspects immediately took off on foot. Additional officers set up a "containment" and during an area search, both suspects were found in bushes at a nearby apartment complex. Officers found property on the suspects that had been taken from the auto burglaries, along with keys to a vehicle they had stolen earlier in their crime spree from the 1100 block Fairview Avenue. 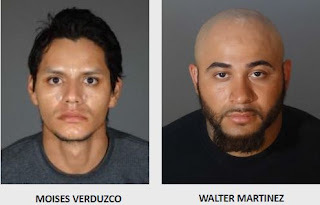 Detectives believe the pair is responsible for multiple vehicle burglaries, thefts from unlocked vehicles, and grand theft autos, which occurred in the same neighborhood in the two days prior to the arrests. 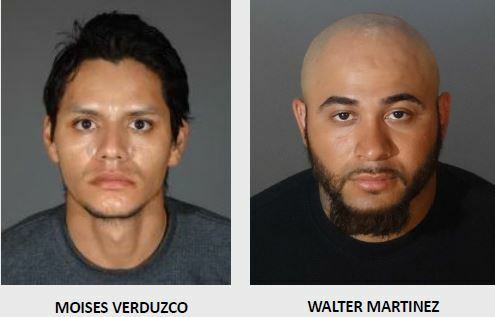 Moises Verduzco, 25-year-old from Los Angeles, and Walter Martinez, 25-year-old from El Monte, were both booked at the Arcadia City Jail on multiple felony charges. Martinez is also currently on Parole.